1. You can’t let your dog “run at large”. Look! We’re on-leash (for once). You may recall that the focus of my first post on this topic was the rules of off-leash playtime. Here’s a brief refresher. Your dog is off-leash anywhere besides a designated off-leash zone. Your dog on private property without the owner’s permission, regardless of whether the dog is leashed or not. Your dog is on a leash, but the leash is longer than 3 metres OR your dog is not “under control”. References: By-Law A-700, ss. 11, 17 & Schedule 2; HRM Charter, s. 195. 2. Get your dog licensed. You’re supposed to get your dog licensed within 20 days of (a) owning the dog, or (b) moving to Halifax. There are currently no exceptions for fostering. You can apply for a dog license at a Municipal Customer Service Centre (different from Service Nova Scotia), at some vet clinics, or by mail. You can apply for a one-year license ($15) or a lifetime license ($75), but you can’t get a lifetime license unless your dog has a microchip. The cost is significantly higher for dogs that haven’t been spayed or neutered ($50 for one year, $200 for lifetime). Why should you get your dog licensed? Here are some reasons. If for whatever reason your dog is seized (let’s say your dog runs away), the Peace Officer will know who to contact. And you’re only entitled to go pick up your dog if you are the registered owner. This is pretty important, because if you don’t pick up your dog within three business days, the dog “shall become the property of the Shelter Keeper” and may be sold, adopted or destroyed. It helps the City know how many dogs are in the HRM and where exactly they’re living. The City says this is important information when they’re deciding where to locate off-leash areas. I’m not 100% convinced, but it’s worth a shot! References: By-Law A-700, ss. 5, 6, 20, 23, 24 & Schedule 2; Administrative Order 11. You need to immediately pick up poop that lands on any one’s property besides your own. Some rules were made to be broken. This is not one of them! Pick up your dog’s poop. Just do it. I don’t even care about the by-law. This is about being a decent human. References: By-Law A-700, s. 11 & Schedule 2. You can’t let your dog “unreasonably disturb the quiet of the neighbourhood”, which can mean disturbing even just one neighbour. If your dog is persistently barking, a Peace Officer can get a warrant to enter your home and seize your dog. References: By-Law A-700, s. 12 & Schedule 2; HRM Charter, s. 195. Under the common law, we have what is often referred to as the “one bite rule”. This means you can’t be found at fault if your dog bites or attacks a human or another animal unless your dog has a history of aggression, e.g. your dog has bitten someone before. By-Law A-700 changes that. There is no “one bite rule” under HRM by-laws. You are guilty of an offence if your dog attacks any person or other animal, even if it’s the first time. I am not a dog behaviour expert, but I think every dog owner (and their whole family) needs to have a basic understanding of how to respect a dog’s space, as well as the signs your dog is feeling threatened or agitated, so you can remove them from that situation as quickly as possible. References: By-Law A-700, ss. 13, 18(a) & Schedule 2; HRM Charter, s. 195. 6. We’re kind of lucky. So there are a lot of rules. And the potential consequences are pretty scary. You can be fined up to $5,000, your dog can be seized (and in some cases, destroyed), and lots more. But in the grand scheme of things, I think we as Haligonians are pretty fortunate. We don’t have any ridiculous breed bans. This City has so many amazing local dog organizations, businesses and people. And we have tons of gorgeous places to enjoy outdoor time with our best dog friends. 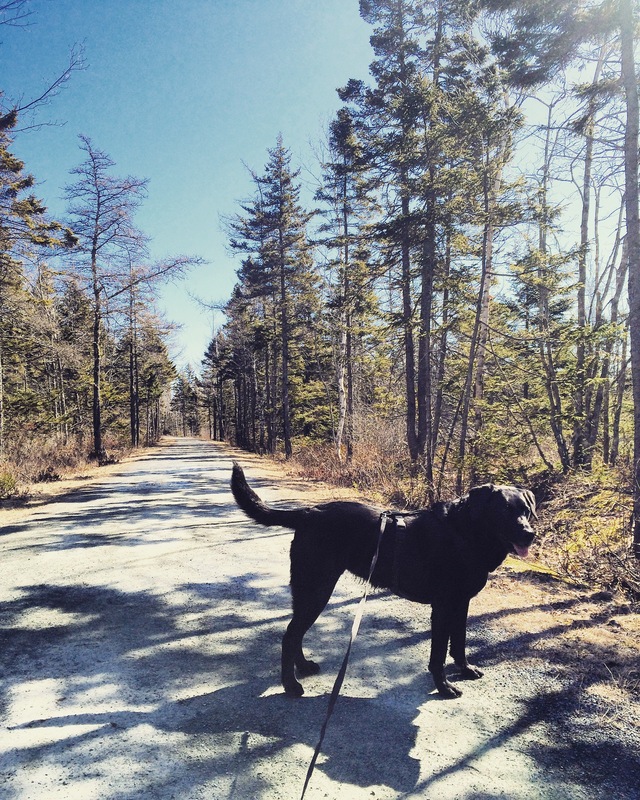 … Like the Shearwater Flyer Trail, where we dogventured last weekend. 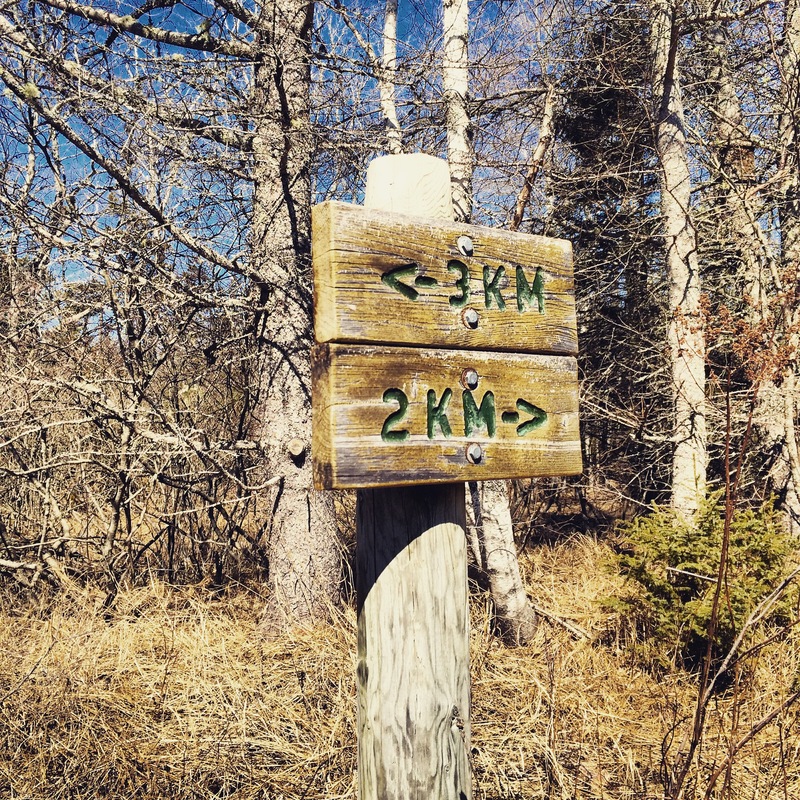 The Shearwater Flyer Trail is a nice section of Trans Canada Trail that connects to the Salt Marsh Trail. In fact, if you park at the Salt Marsh Trail parking lot and head inland, you’re on the Shearwater Flyer Trail. However, we tend to park at the other end, at the Caldwell Road entrance. Welcome to Eastern Passage! 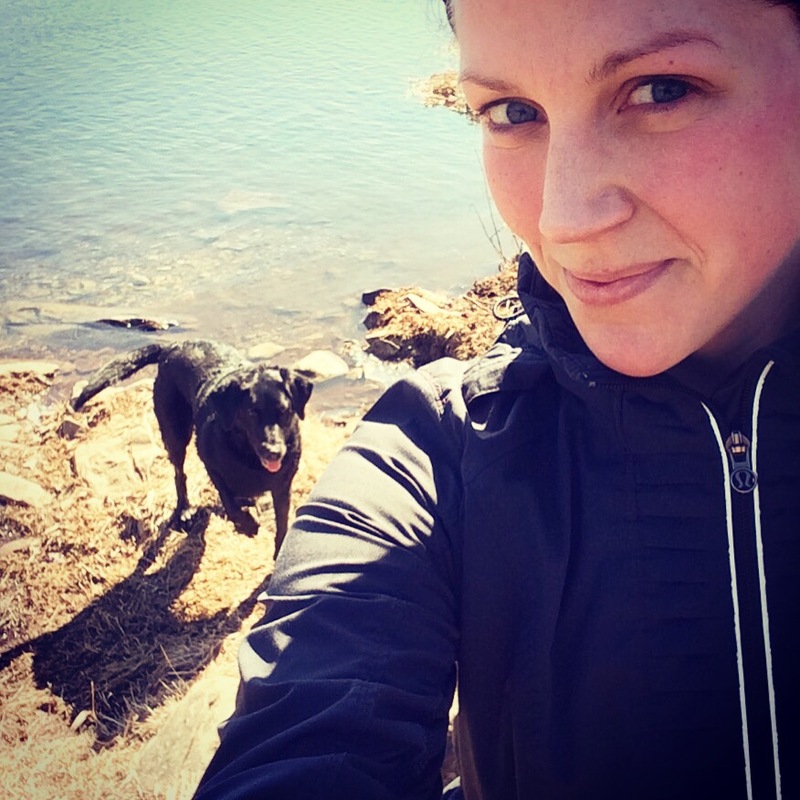 It’s a fantastic place to jog because it’s nice and flat, there are kilometer markers, and there is a pond at pretty close to the 2.5-km mark so your pooch can go for a dip. And that’s exactly what we did. 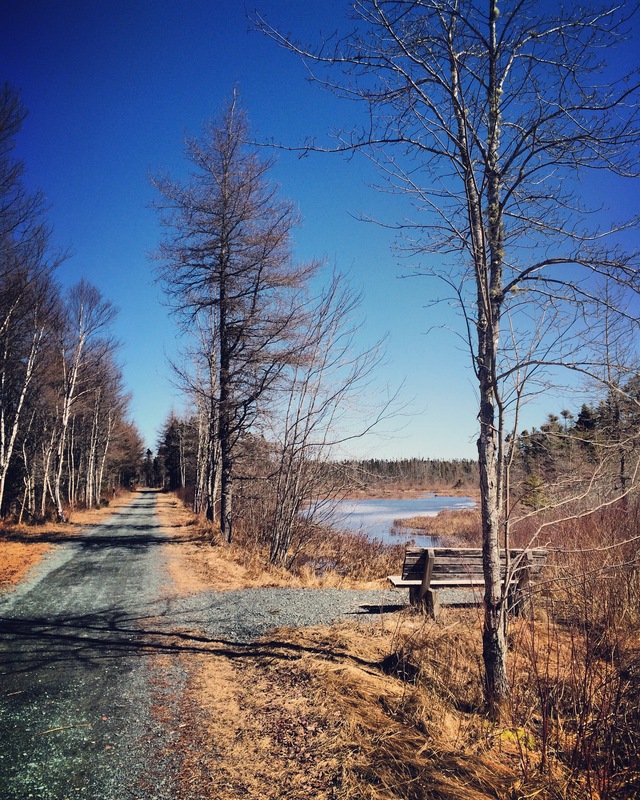 For more information on the Shearwater Flyer Trail, check out the Parks Directory. And for a full copy of By-Law A-700, visit the Resources page.